Another year, another slew of Warriors games from our pals at Koei Tecmo. 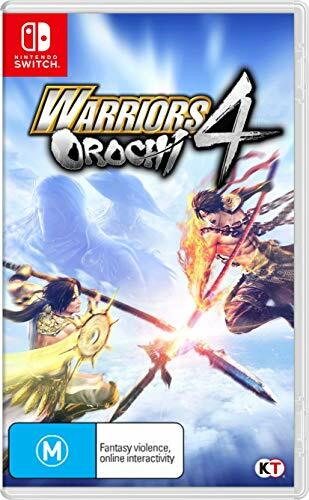 If you’ve played any one of the Warriors games in series past, you’ll already get the idea of what you’ll be doing in Warriors Orochi 4, but that doesn’t diminish the pure dumb fun it has to offer. Taking the role of one of many different war heroes, you’ll be smashing your way through thousands of small foot soldiers with unique weapons, a light tactics system, and with the occasional boss fight thrown in. If that sounds like that suits your fancy, then read on. 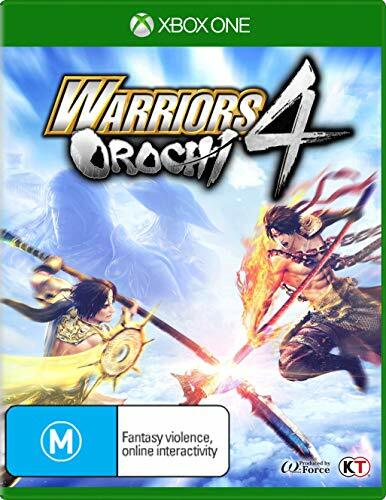 Warriors Orochi 4 by far has the most content I’ve ever seen in a Dynasty Warriors style game, ever. Warriors Orochi brings together every character from both Samurai Warriors, and Dynasty Warriors (two other Koei Tecmo series, for the unacquainted.) If you’re trying to count in your head, don’t bother, this come out to be a total of 175 different unique playable characters in the game. Spread these guys over 70 different missions, and you’ve got a massive amount of content in your story mode alone. For those who might be worried, every single character is unlockable through the campaign, so no need to crack open your wallets just yet. In typical Warriors fashion, the story isn’t going to be the driving force that keeps you coming back. 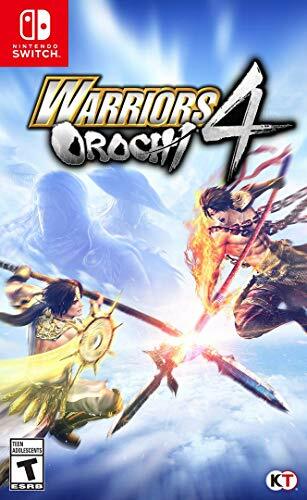 Orochi 4’s story adapts the ongoing story found in both Samurai Warriors and Dynasty Warriors, a tale of wars, politics, drama, etc. and mixes in a group of Norse Gods who’ve decided they’d like to play around in human affairs. Not much development goes on beyond that, but at least you’ve got a little background as to why you might be slaughtering entire nations. Ultimately what makes the story feel so shallow is the same point that makes the gameplay feel so varied. In attempting to mix in 170 different Dynasty and Samurai Warriors characters, along with the 5 playable Greek Gods and give every single one their share of the spotlight, you end up not recognizing or caring much about anyone other than maybe a small handful of the cast. In relation to the gameplay as well, the cast size can make it hard to focus on improving one group of characters. As you play as a certain character enough, a relationship meter will fill up, offering a wholesome special cutscene. However, there is just too many characters to give a shot that you’ll hardly be seeing this, and when you do, the lack of connection to your bonded character makes the scene lose its impact. Dont’ play this game if you’re going into it for the story or character development, because you’ll leave incredibly unsatisfied. The combat, on the other hand, is where Warriors games are always so appealing. Missions will take you to a wide range of different locations, generally consisting of control points that need to be held, and bosses that need to be beaten. It’s up to you to turn the tides of battle, as your foot-soldiers clash with the hundreds of enemy foot-soldiers, you must lend your all-powerful aid to assist in capturing command posts. Unlike the Warriors format, your mission team will consist of three different playable characters that can be switched in a split second, making for some creative uses of splitting combos between different characters. Every one of the 175 playable characters have unique weapons and move sets, to make them feel entirely varied in their playstyles. Interestingly enough, both Samurai Warriors and Dynasty Warriors characters play with different control schemes as well, mirroring the move sets found in their original titles. Another unique mechanic to Orochi 4 is the magic system, giving each fighter a few extra attacks beyond what is possible with their standard weapon. Summoning monsters, giant explosions, and spraying lightning is just some of the new ways that help spice up a system that has been done over and over in the Warriors games. Along with the combat come some very basic RPG elements. Completing challenges, side quests, mini-bosses, etc. will net you new equipment and experience points to help outfit your fighters. The same issue arises as was found with the relationship system, however, and it’s easy to find yourself spread thin on trying to keep everyone at a decent stat. Luckily, you also have the ability to upgrade your entire home base, which spreads smaller upgrades across your entire cast, allowing to take the weight of manually upgrading some of your lower leveled characters a bit. My biggest complaint I have so far would be performance. My review copy was played on PS4 Pro, and I suffered from some really odd frame-rate drops almost constantly. Even when not actively in combat, the frame rate would drop from the quoted 60fps to around 25fps and would stay there for quite some time. After seeing the performance on PC, it makes me wish that I could enjoy this game in all of its silky smooth glory that they seemed to aim for. Luckily this isn’t a deal breaker by any means, but coupled with the only decent visuals, this title would seem to look and perform more like a PS3 title, rather than something on the PS4 Pro. Ultimately, Warriors Orochi 4 is one of the better Warriors games we’ve seen in recent years. While the visuals, performance, and story leave some to be desired, it’s hard to argue that this isn’t the best combat system we’ve seen in a Warriors title. The huge cast of characters makes the game extremely accessible to anyone with a preference in their move sets, and the brand new magic system is a much-needed addition to a franchise that can be a little afraid of change. 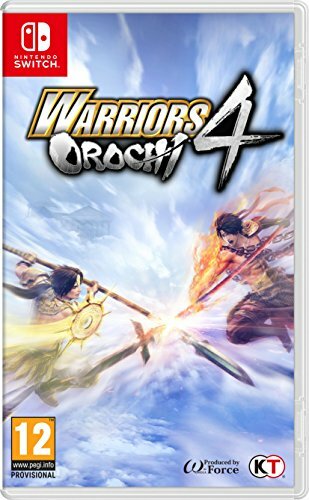 Warriors Orochi 4 boasts the most amount of content in a Warriors game to date, from 175 characters, over 70 missions, and tons of unique move sets and magic types to explore, it’s easy to find yourself addicted to trying everything out. Some odd technical issues on the console side stop the combat from feeling as smooth as it could’ve been though.